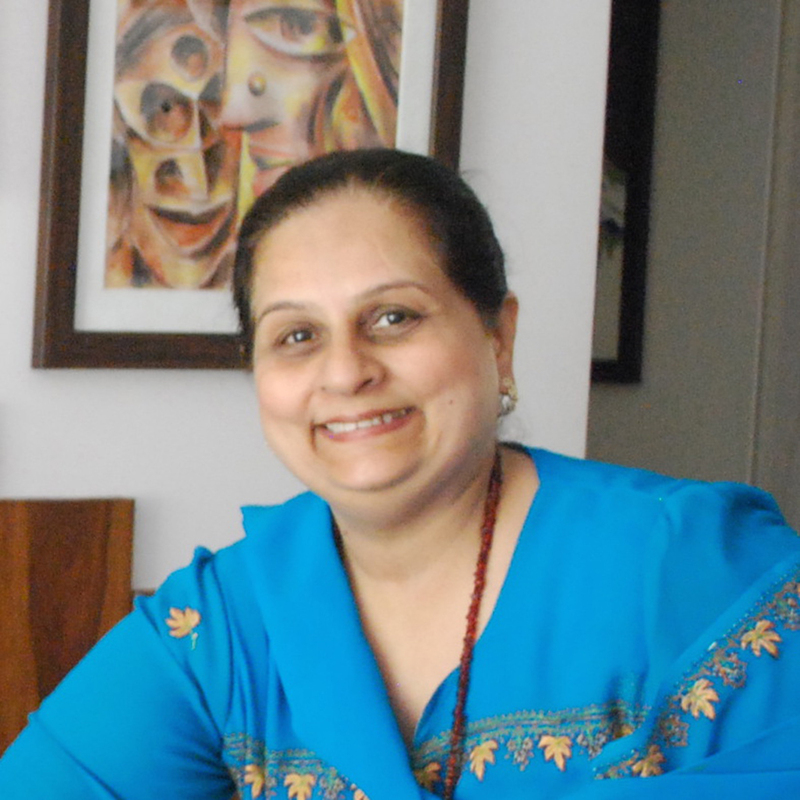 Manju is a warm and loving Sindhi woman who lives in Bandra, an affluent neighborhood of North Mumbai (ask her about the Bollywood celebrities that live in her neighborhood!) 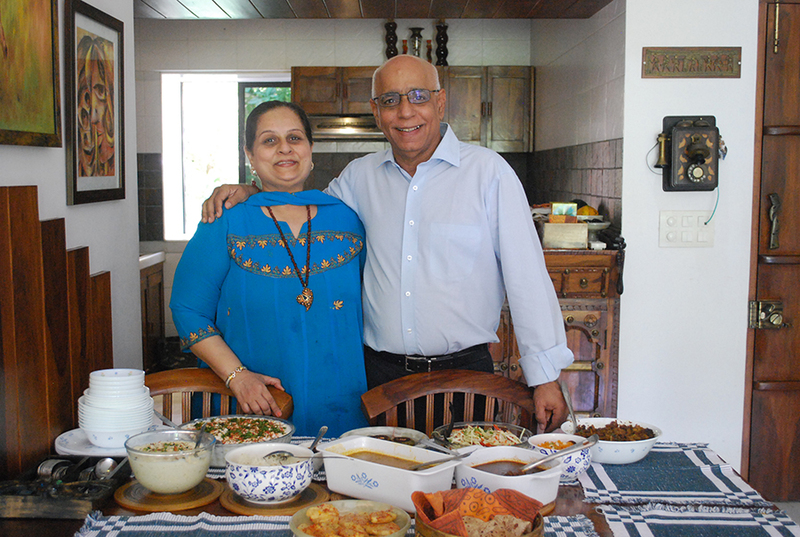 Her love of food goes back 30 years when she learned her craft from elder family members who migrated to Mumbai from the town of Shikarpur, located in present day Pakistan. 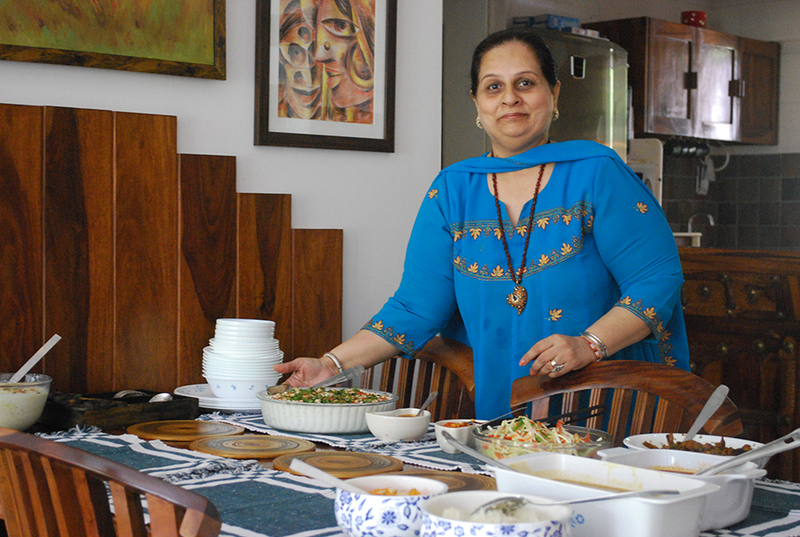 While Manju is vegetarian, she can cook up an amazing Sindhi mutton, in addition to many other non-vegetarian dishes. 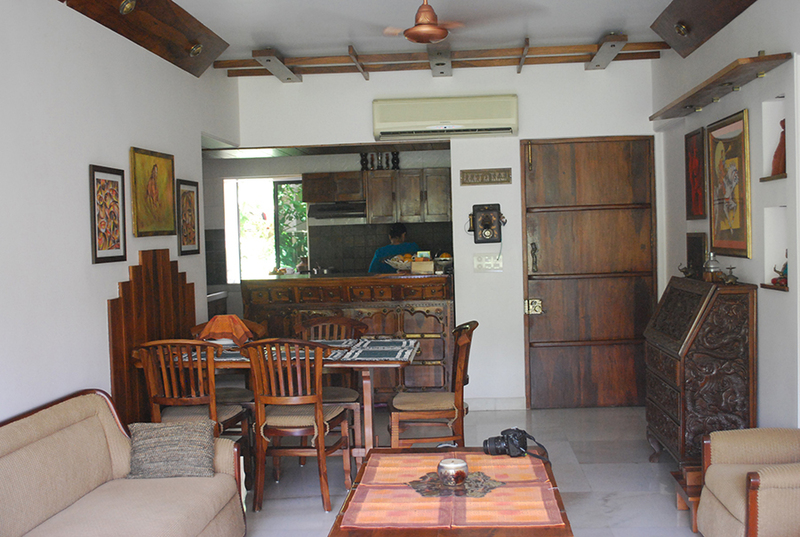 Manju takes great pride in her home and family and is a true homebody. 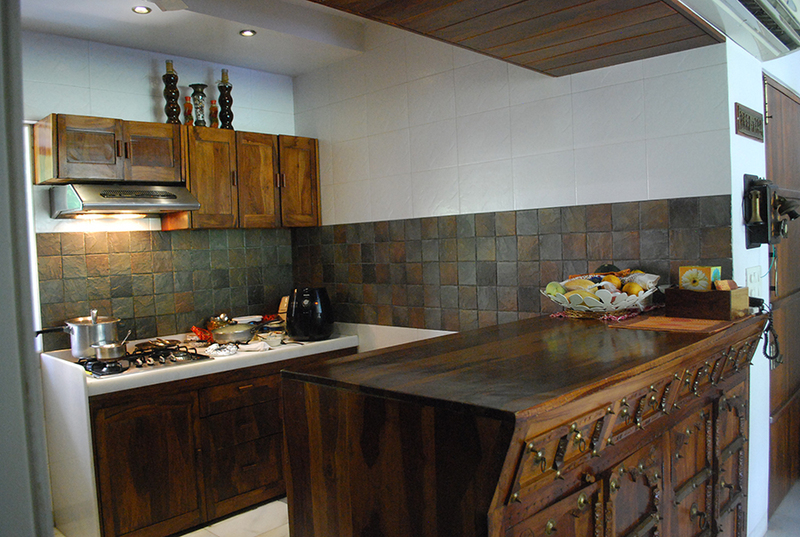 In-home meal: (1-5 guests) Manju will welcome you with a warm smile and while you enjoy your appetizer, she will tell you more about Sindhi food and culture. 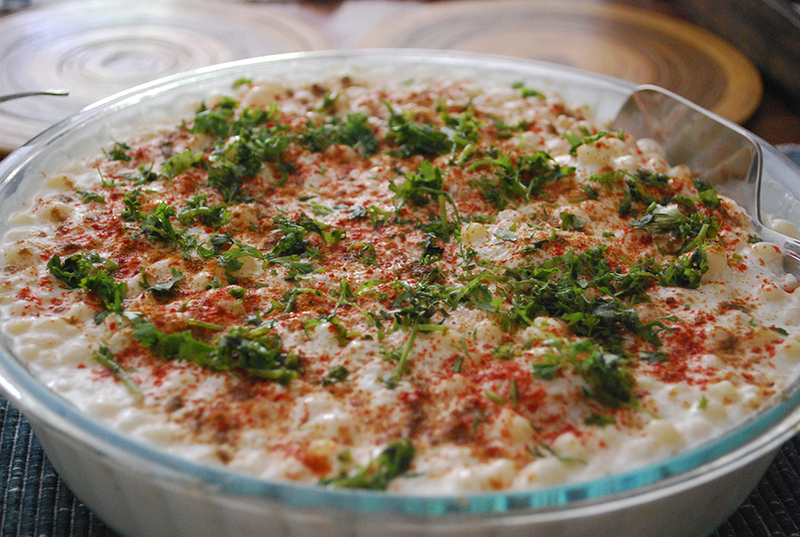 The menu might include Sindhi mutton (a meat lovers delight of goat cooked in an onion and tomato gravy), kadhi chawal (a vegetable curry served with rice) and side dishes such as crispy aloo tuk (Sindhi-style fried potatoes garnished with spices), bindhi ki sabzi (cooked okra), and Sindhi dahi bhalla (lentil dumplings in a spiced yogurt sauce). 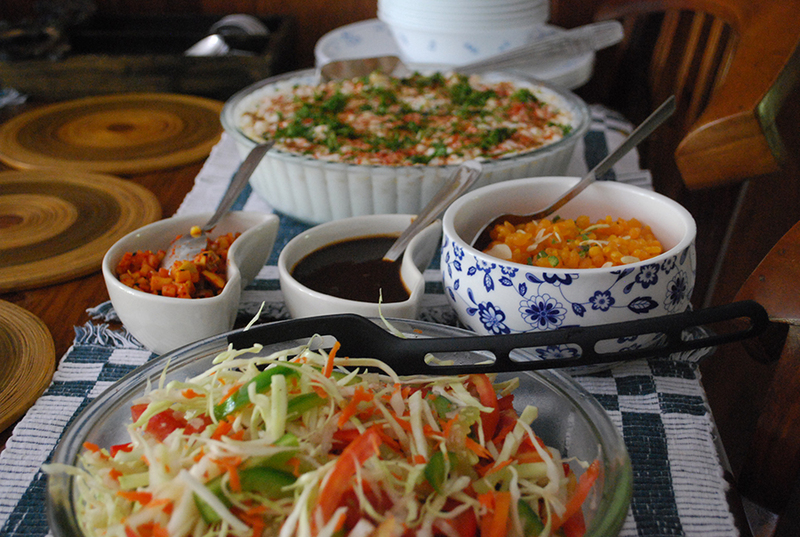 Your meal will be accompanied by Sindhi phulkas (soft, tender chapati), salad, chutneys and pickles. 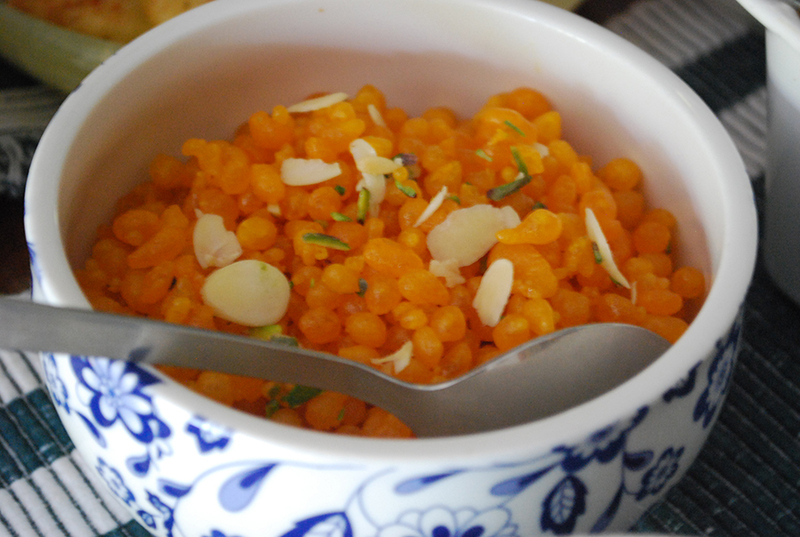 Finish with one of Manju’s delicious Indian deserts. 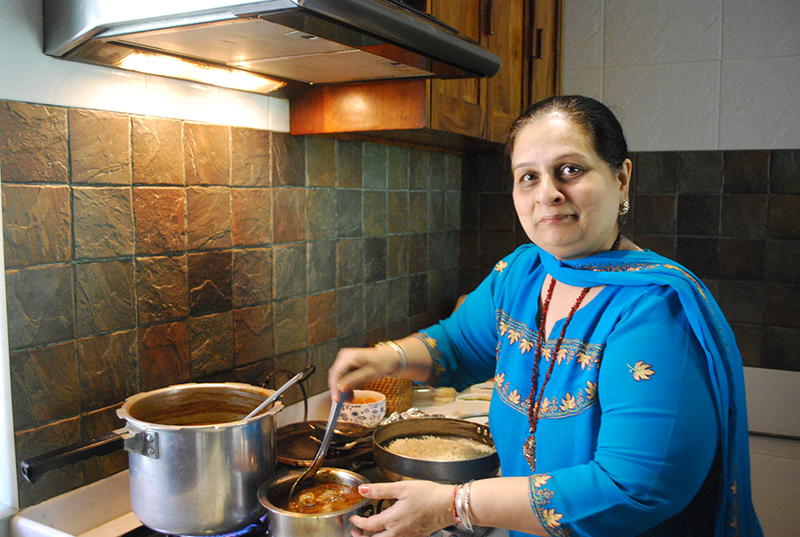 Cooking experience: (1-5 guests) Join Manju in her kitchen and learn how to make 2-3 authentic Sindhi dishes. You can expect to be cooking for about an hour before you share the meal you helped prepare over conversation with your host at her dining table. Market visit: (1-5 guests) Manju will accompany you to the nearby local market where you will get the chance to discover local and regional produce. Walk through the stalls of overflowing fruit and vegetables as hawkers try to sell you their freshest produce. Notes: Manju’s love for cooking has taken her across regions to learn cuisines from all over India. Her speciality may be Sindhi food, but don’t hesitate to ask for a taste of another regional cuisine, be it chaats, Gujarati, Punjabi or Maharashtrian food….you can find it all here, made with love! 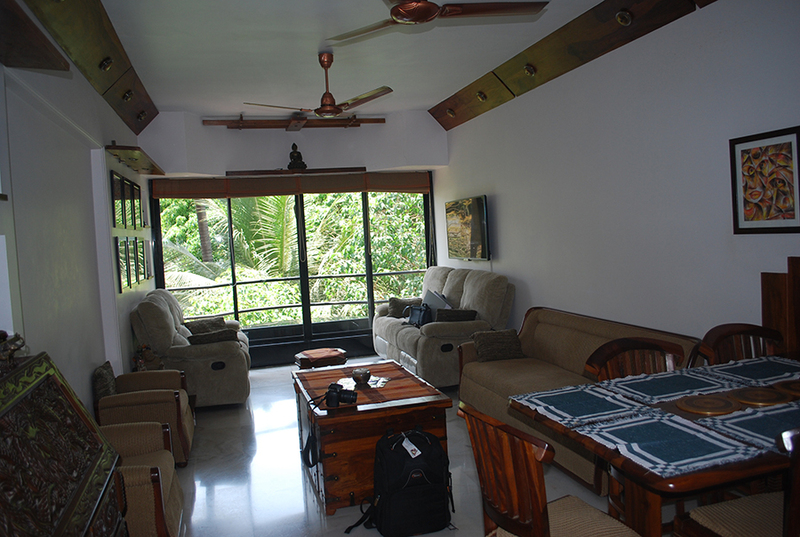 Manju was a wonderful host - very eager to meet us and share her food with us. Her entire family sat and talked with us about our travel plans and made us feel very welcome. She then showed us a few dishes and let us help prepare them, then helped us write down recipes. Dinner was tasty and wonderful.